Image: Vincent van Gogh's "The Postman (Joseph-Étienne Roulin)" at the Barnes Foundation. One of the world’s finest collections of impressionist, post-impressionist, and early modernist paintings, the Barnes Foundation experienced a transformative move in 2012 from its longtime home in Merion to a new building on Philadelphia’s Benjamin Franklin Parkway in 2012. Remarkably, the number of members went from 400 to 20,000 by the time they opened in Philadelphia. Attendance more than tripled the first year. But with that broad success came some new challenges. The Barnes heard about Wharton’s Analytics Accelerator Challenge, submitted a proposal, and was chosen for the data challenge. 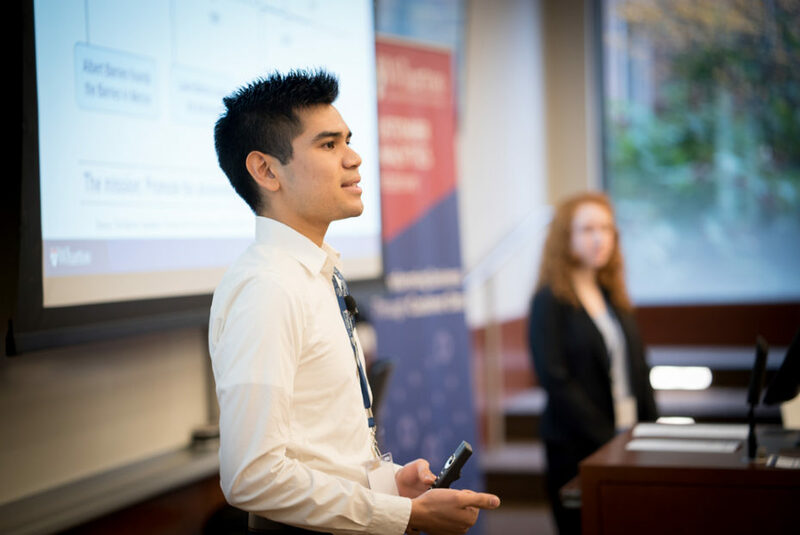 Now in its second year, the Analytics Accelerator Challenge, a program of the Wharton Customer Analytics Initiative (WCAI), once again paired student teams with corporate and nonprofit partners to solve real problems with analytical solutions. 200 students and 30 companies applied. 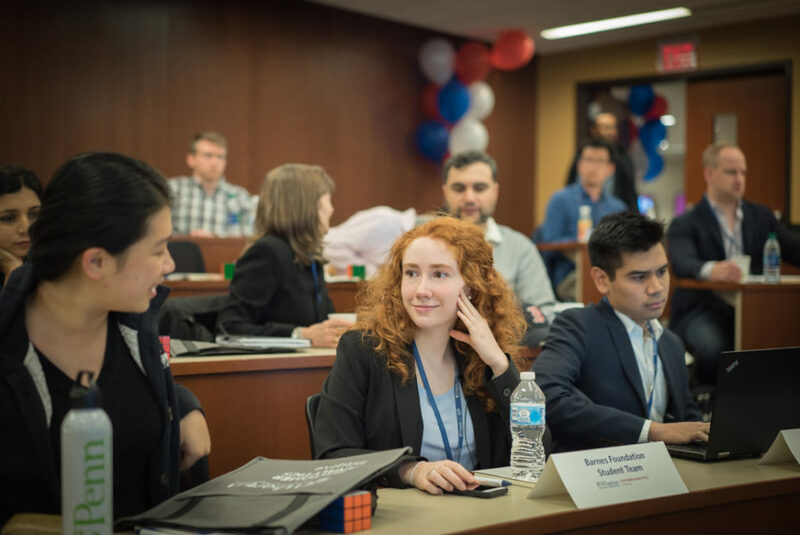 The Wharton Data Analytics Club helped choose 24 students and assign them to teams to address the problems of four selected organizations, which, in addition to the Barnes Foundation, were Fuel Cycle, Hachette Book Group, and Reed Smith. The students were given four weeks to work with datasets provided by the organizations. Their hard work culminated with the final Summit on Friday, November 2, where they presented their findings to an audience of corporate partners, students, and other analytics enthusiasts. The Barnes student team — Catherine Bache (W’21), Karen Chi (C’19, W’19), Anuj Gupta (WG’20), Huey Han (WG’20), Sid Jaiswal (ENG’21), and Kai Lu (C’21) — included MBAs and undergrads from several Penn schools. 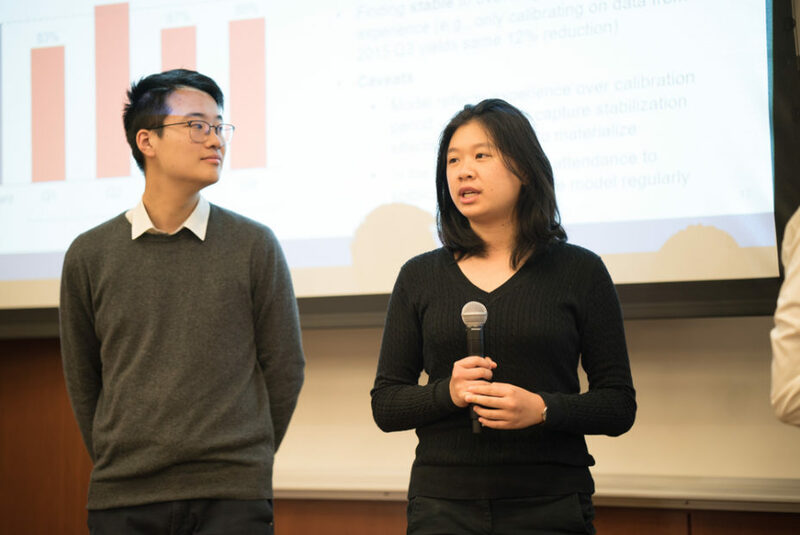 The goal for the Analytics Accelerator Challenge team was to create a model for predictive analysis, incorporating pricing, revenue projection, visitation and attendance behavior, products, and offers. It was a big task to complete in just four weeks. The Barnes Foundation had robust development and admissions data systems, but it was difficult to forecast attendance when only the past five out of 95 years of history were relevant for the analysis. Ultimately, the team found they could use the Barnes’ aggregate data for their model. “We used the ticket data aggregated by month rather than granular raw data because it would be more useful for forecasting,” said Kai Lu, an undergraduate member of the team. The team forecasted attendance in a “do-nothing” scenario and then anticipated various scenarios that could make an impact. They structured two separate models — one for non-members, and another for members and free tickets. They hypothesized that demand and attendance could be influenced by Barnes actions (prices and discounts, special exhibitions) and macro factors (seasonality, market health). The team determined that in a “do-nothing” model, Barnes attendance would have a 10% year-on-year decline. However, the team found that they could create modest discounts in price that would stabilize attendance and remain revenue-neutral — a 1% reduction in price would have a 1.5% increase in attendance. They also recommended two special exhibitions per year in Q1 and Q3, since seasonal attendance otherwise spiked in Q2 (summer) and Q4 (winter holidays). Special exhibitions at the Barnes are limited by space. “We only have one special exhibition space so we can only do one at a time – this is a new activity for the Barnes so going from zero to one felt like enough,” said Zminda, who said they are also looking to create additional venues within the building for special exhibitions. Still, the student team found that one exhibition at a time was enough. What the student team discovered surprised the Barnes. “It was a cool experience,” said Catherine, who was especially interested in the mission of the Barnes Foundation. “We all had different backgrounds. The MBAs obviously had work experience coming into it. I hadn’t even taken any coding classes, but I was able to learn more and work under their guidance. We were split off into smaller teams to tackle different problems together.” Catherine served as project manager, bringing logistics and organization to the team. Both Catherine and Kai are taking what they learned to their next endeavors. The Barnes isn’t finished with the data yet. The Barnes Foundation, which has a historic relationship with Lincoln University, is committed to working with educational institutions in the region. Partnerships like this benefit both the Wharton Customer Analytics Initiative and the Barnes Foundation. “The most interesting data is sitting out in practice and that’s the foundation of everything we do,” said Prof. Eric Bradlow, faculty director of WCAI, in his introduction to the Summit. 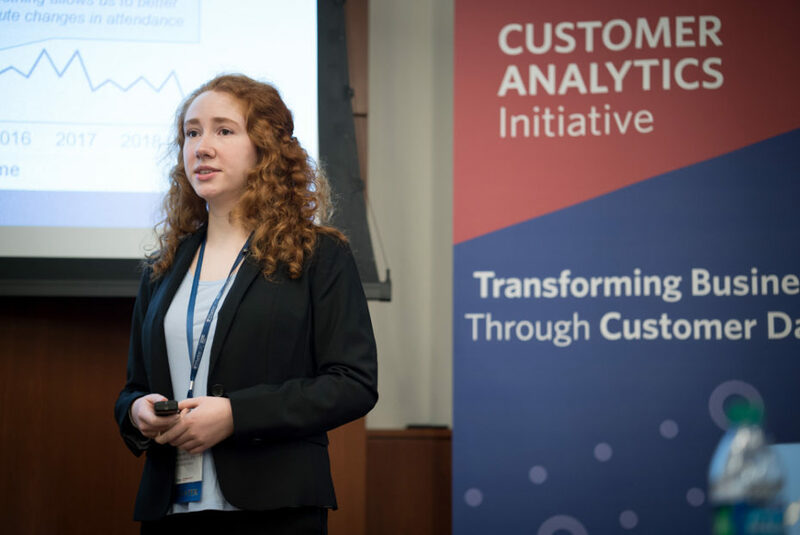 Read more on this year’s Analytics Accelerator Challenge Summit and the student team that partnered with market research firm Fuel Cycle. The Wharton Customer Analytics Initiative (WCAI) is the world’s preeminent academic research center focusing on the development and application of customer analytics methods. Through an innovative Research Opportunity program and R&D “crowdsourcing” approach, WCAI enables academic researchers from around the world to help companies understand how to better monetize the individual-level data they collect about customers through the development and application of new predictive models.